We follow traditional itinerary of the round annapurna trek by deviating few days while exploring a hidden valley the Nar phu Valley . This trek is perfect for travelers who want to discover the Annapurna circuit as well as explore an untouched valley. A rough and wild trek, this trek takes you to the exotic Nar Phu valley that lies in the remote corner by modernity. The inhabitants, who roughly comprises of about 350 Nepalese Tibetans, have retained their age old practices. The hidden valley of Nar Phu trek deviate from dharapani going beyond the manang village and rejoins at ngawal village of manang again to joint the traditional trek route to Thorong la Pass by crossing challenging high pass of Kang La Pass 5345m. Magnificent views sunrise early morning on the top of Kang La and Thorung La. 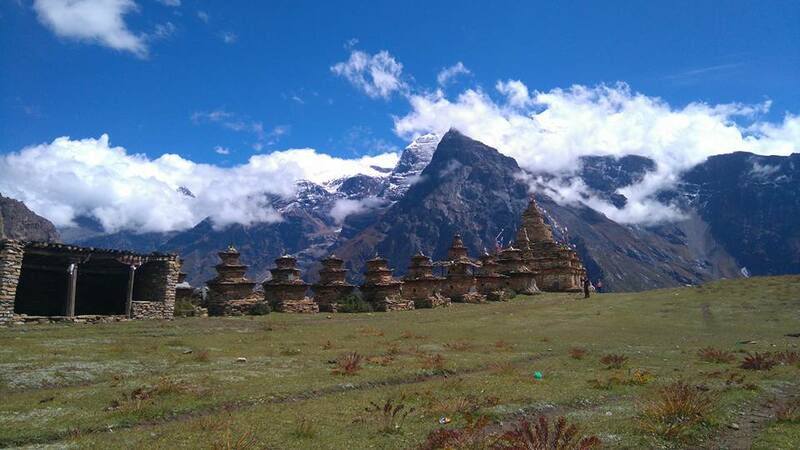 This trek also offers fantastic views of the Annapurna massif, Lamjung Himal, Machhapuchhre Himal, Manaslu Himal, Dhaulagiri range and Tilicho peak. Day 14 - Trek to Kang La Phedi [4530m] Next Days Early Morning Across The Kang La Pass 5345m.